If your organisation is looking for an efficient contractor signing-in process then this personalised contractor pass starter pack has everything you need. 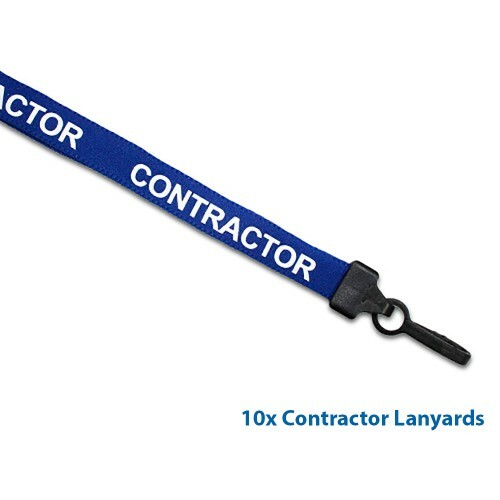 Personalised Contractor Pass Refills available. 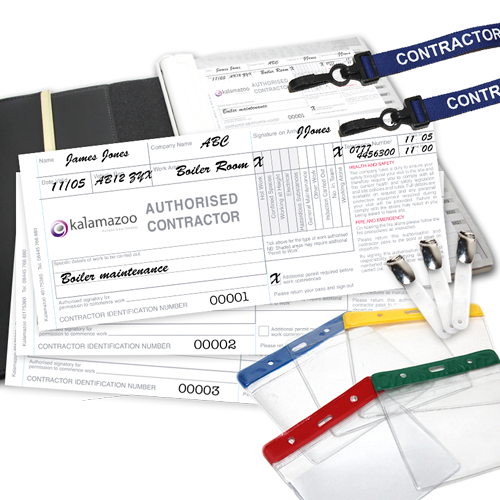 Kalamazoo's Contractor pass system is designed to enable you to effectively manage your contractors and help your organisation fulfil its Duty of Care. Duty of CareEvery organisation has a legal obligation to implement reasonable measures to ensure individuals, including staff and visitors, are protected from harm whilst on the premises. Upon arrival at your premises, contractors simply fill in their details on the pass provided, which simultaneously creates an integral register and up to date fire evacuation list. 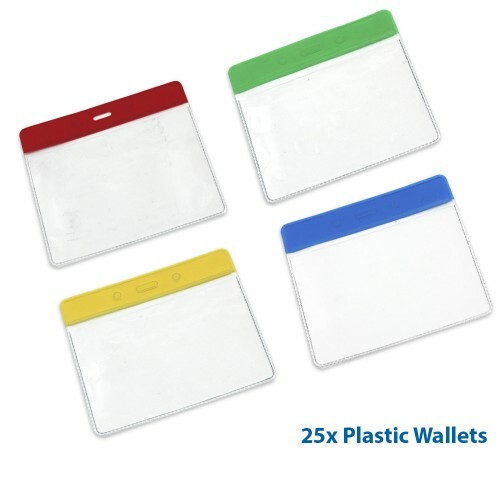 The pass is then removed from the book, placed in a PVC wallet with a Lanyard or Metal Clip and given to the contractor to be displayed at all times. 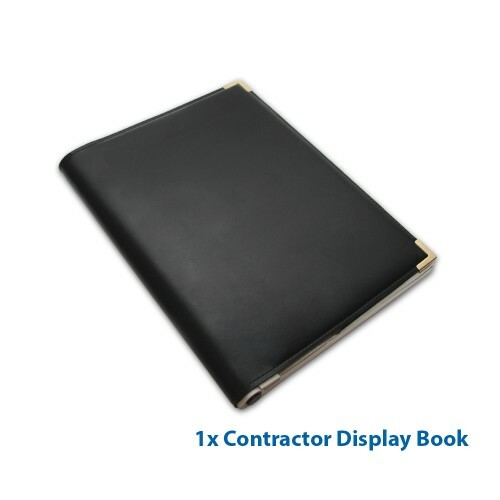 Contractor passes are sold as 10 overlapped passes (76.2 x 94mm when folded to insert into a plastic wallet), with journal sheets and a discretion sheet. 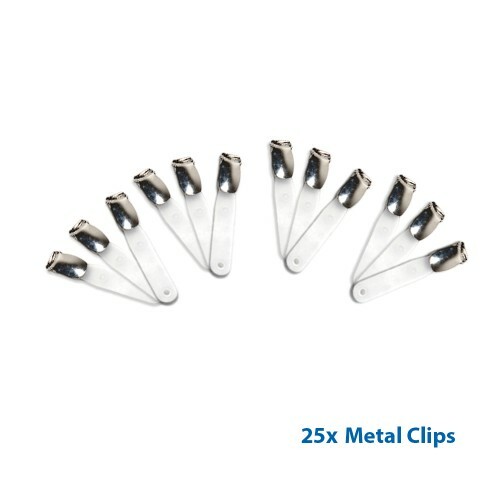 On the reverse of the pass, your specific health and safety guidelines are provided for contractor use, helping to ensure they are kept safe whilst on the premises. On the pass, contractors record what type of work they are permitted to carry out, along with other key information such as designated work area, helping to cover your organisation in the event of an incident. We also provide Standard Contractor Pass System Starter Packs, if your requirements do not include personalisation. 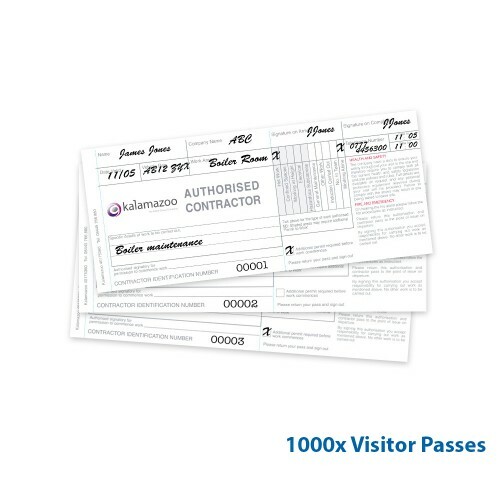 Contractor Pass Refills are available separately.